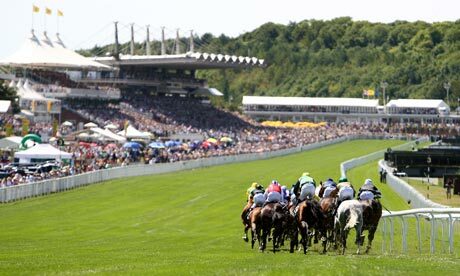 Bing Bong – Pay Pay – the Bookies view of Ascot.. Anyone that describes racing as dull has to be an astronaut. If the highlight for your average rocket man involves periods of sheer terror sitting on tonnes of high explosive jet fuel, punctuated by moments spent trying to work out the on board toilet then I suppose racing falls somewhere between the two. Racing provides so much more gripping entertainment. My week started with ten minutes of fame on Channel 4. The director in my ear telling me to ‘pipe down’ – this is fairly standard. Two large security guards stand off camera ready to drag me off set. 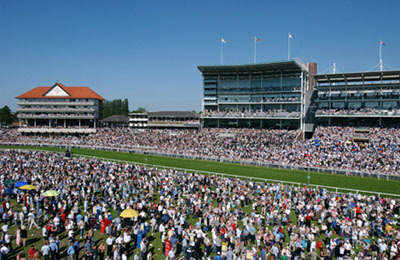 So we chat about Gosden Horn, sitting in the sun, with forecast temperatures of 18 degrees. Lucky asks if I feel the greatest horse on the planet will take his chance. Now, I’m supposed to have done my research, which includes looking at this horse’s form.. – Unless I’m mistaken, the brute beat none other than Storm The Stars at Nottingham on ground described as good to soft- soft in places. Add the paltry 700 grand on offer, the thousands who had paid to see him, the kudos in doing the Derby-George double, that the horse had travelled, that the field was inferior, and that I’m paid to speak my mind – I said I was confident he would indeed take place. Everyone knows I’m rarely wrong. History says Speculative Bid travelled the course without the jockey because Spencer was sitting on the stalls rather than the horse. Perhaps he was practicing his dismount? Starters don’t react to cries of ‘No No No’ these days- nor do they speedily inform the stewards of the status of the horse in this age of walkie talkies. Now I know you’re dozing off here- because who gives a monkies if the bookies done more of their money than they should? Rub of the green. But there’s a strong message here – and it’s important not only to learn from it, but hold the BHA properly to account, because that is how we progress change. Of course folks make errors, but what struck me was the abject lack of taking responsibility or a will to apologise. A thorough lack of understanding from one of the most professional group of stewards in the game, that they’re responsible to the betting community and the general public- most of whom have had a bet. If you’re enquiring into the status of the favourite as a runner, you’re most definitely affecting betting markets. Why not mention what you’re actually discussing? Bookies paid out dutifully and swiftly without deducting one fifth of winnings as rules dictate. ‘Stewards Enquiry – we’re looking into the status of the favourite and whether he was a runner or not’ – Say what?? ‘The favourite was a non runner’ customers can get their money back – oh right, sure thing. So we pay everyone out on the favourite. Which was an illegal instruction. 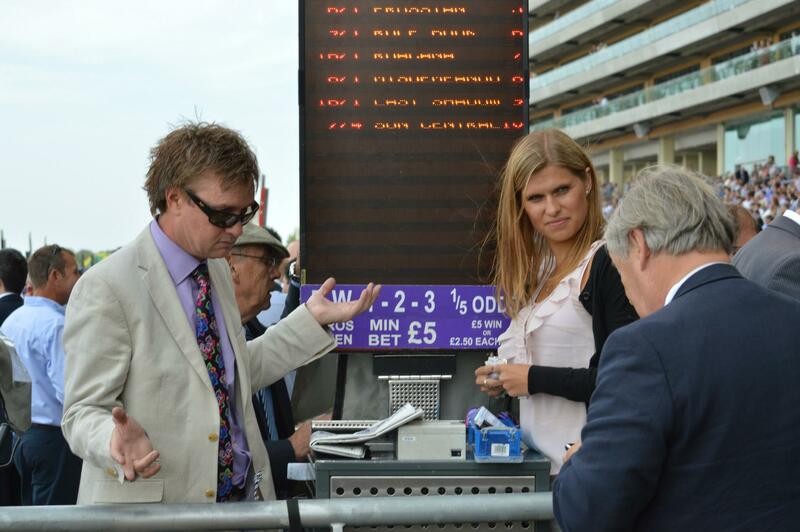 In the meantime the Betting ring managers are besieged with confused customers. Although most bookies had paid out. Not to have done so under the instructions given by the stewards would have been unprecedented – would have potentially resulted in loss of licenses – and would have most certainly caused a riot. 90 minutes pass, during which time the betting ring manager high tails it to the stewards secretary to remind him that what they had done was an illegal instruction under the rules of racing and explain what a bet is. Oh and what ‘weighed in actually represents..
Jamie Stiers took to Racing UK to explain what went on, roughly. He refused to apologise. Not in his remit. Here is the ‘decline to apologise video’ – this from the BHA’s head of regulation – so we should expect a polished performance. Instead it adds to the shambles by giving the impression even he didn’t understand the rules- or know what was occurring. ‘I am advised a rule 4 should have come with the withdrawal of the favourite’ – this is a staggering remark. I believe my 12 year old knows this one! As head of regulation he clearly had to have the rules of betting explained to him. The stewards made enquiries and in their report they mentioned those findings would be shared with the Authority. Oh, I’ve heard this one before. The brush. The Stewards held an enquiry into the start to ascertain why SPECULATIVE BID (IRE), ridden by Jamie Spencer, failed to start and eventually left the stalls rider-less. They heard evidence from the rider and the starters. Spencer stated that the gelding was loaded late as he was known to be difficult in the stalls and just prior to the stalls being released SPECULATIVE BID (IRE) got his head over the adjacent stall 23. He added that when the stalls were released he was off the horse. Having heard their evidence and viewed video recordings of the start, they found that SPECULATIVE BID (IRE) was deemed not to have started and, under Rule (B)10.5, ordered the gelding to be withdrawn. The Stewards further enquired into why the Weighed In signal was given before the enquiry into the start of the race had been concluded. They heard evidence from the Stipendiary Steward, the Clerk of the Scales and the Racecourse Announcer. Having heard their evidence they forwarded the matter to the British Horseracing Authority for further consideration. Look, I can take a joke as much as the next man. I can easily accept errors are made. My problem with the Authority here is the abject lack of transparency, a failure to immediately apologise and take ownership of the problem. All businesses pay for their errors- except the BHA it seems. They want the bookmaking community not only to foot the bill, but take the flak, the assaults that took place on my colleagues, the inconvenience and the loss of face. In the meantime they will conduct internal inquiries and ‘move forward’. If moving forward is to set a precedent whereby we pay for their shambolic and ill informed stewarding – then I have one answer. I’m sorry, but I’m tired of the simple lack of accountability for errors and the high minded attitude that comes with. Appalling race planning, 8 flat meetings on a Saturday in July, 3 jumps meets on a Sunday. Embarrassing integrity enquiries taking years to prosecute in which video of races are lost.The head of integrity is still in his post – headlines ‘we’re consulting ourselves into how we’re doing’. Yup. Race planning is for five year olds, yet its head sits in her chair. A general lack of consultation with the general public. The mundane press releases in the place of open press conferences like other sports in which journalists have an opportunity to test their performance. Of course the BHA have registered successes – more so from it’s rather under funded commercial arm – REL. The Champions series, Qatar involvement, marketing on a shoe string budget. This leaves the authority actually responsible for planning, integrity and regulation. It lacks any clear authority over racecourses to the detriment of the sport – and everyone has a job for life. I’m convinced amongst appreciable talent in the BHA are a few individuals without the necessary qualities to represent the sport. In every walk of life it’s critical for performance to be achievably measured. Failing employees and managers to be moved out and replaced with stronger people. And what’s with employing a board lacking in any appreciable experience in racing? So they can be bullied? 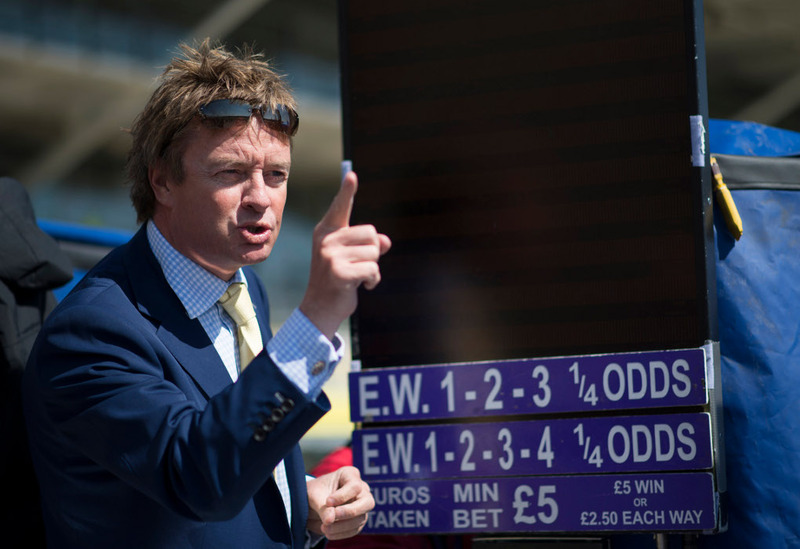 “ ~~’Has there ever been a racing authority that was not incompetent, lacking in imagination and dynamism, or out of touch with the industry’s needs?’ Guardian racing writer Chris Hawkins…asked this rhetorical question in 1996.” Plus ca change…! Goodwood. ‘Appointment with fear’ my Old Man used to say. A graveyard for bookies, some of whom are buried under Trundle Hill. Good news for the betting men with Hughesie retiring. He’s cost us a pretty sum over the years.. good luck to the legend in his new venture – a gentleman jockey. And so we trundle on to York. Another track with a sense of style. A possible meeting for Golden Horn and Gleneagles? On a strip of council land. If you want to get in free, climb under the gate at the ten furlong marker and look like you belong..
A v well written piece. Ascot is not my favourite track, but, I was under the impression the people in charge, knew what they were doing. People do make mistakes, but, in this case, they seem v reluctant to take ownership of them. Bookmakers were penalised for these errors, largely financially (they are there to work), but also in many other subtle ways. Its my understanding, the mistakes were from the BHB, and they have apologised. They need to make financial compensation etc, and presume they will do so – but, trust etc, now needs to be re-won. If I was a bookmaker, I would take this to court, if need be. Entertaining stuff Geoff. Well done. And yet every bookie refuses to look at any alternative betting format with horses ? If you continue to support a monopoly and do not encourage competition with horseracing then the consequences are plain to see. Another good read and there is no question, under the present rules, that bookmakers were made to suffer through no fault of their own in the SB case. But today PR is king and the officials involved, whether under pressure from others or not, gave in to it. PR is a fine balance though as Coral are finding out. Transparency and the horse racing industry do not go together. The BHA, at times, are no different from just about every other aspect of the business. If you think about the mini ‘society’ that is horse racing, you are looking at something that is akin to general society in the Victorian era (haven’t enough space to explain everything meant by this statement, but many good books will inform). As an industry it is really struggling to come to terms with instant communication and the population being able to air their views so easily in public. Every time anyone or any organisation (commercial and non) with ‘power’ is under pressure the response is often a move towards the sanctuary of secrecy and to a dig a deeper hole to hide in. There is a long struggle ahead when the main customer (the punter) is still regarded by many as an underclass that needs ‘keeping an eye on’. Geoff the nail on the head regarding the authorities failing to take any responsibility for the shambles it created. They are fast enough to fine anybody who dares break said rules and mistakes are not accepted. Next Next post: Don’t forget to gamble responsibly..